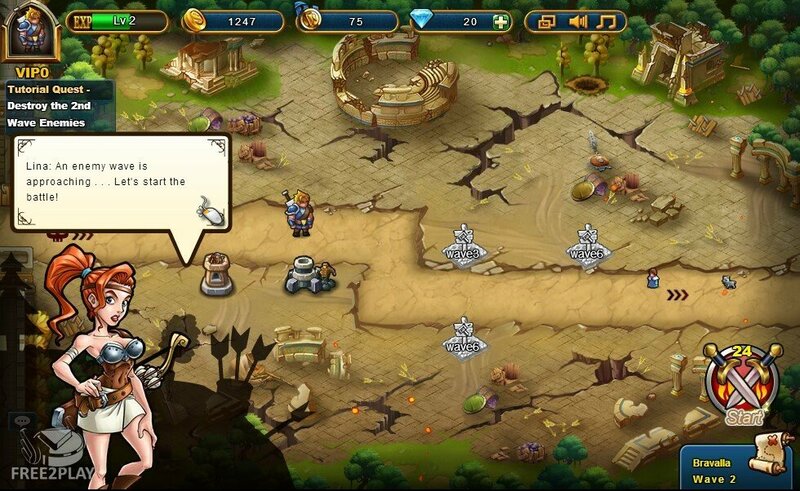 In this free-to-play game all players are responsible to build defensive towers and summon powerful heroes of Valhalla to protect their villages and their inhabitants from all kinds of Orcs, Demons, and other terrifying creatures. The game can be played from any browser and is completely free-to-play. Loki, the trickster God, has declared the war against the Aesir, the gods of the Nordic Pantheon, and has recruited the Jotun Titans to fight at his side and bring chaos to Midgard. As followers of the goddess Freya, players will be responsible for protecting the world from the forces of evil, and to do so first they'll have to recruit an army, and become true heroes. 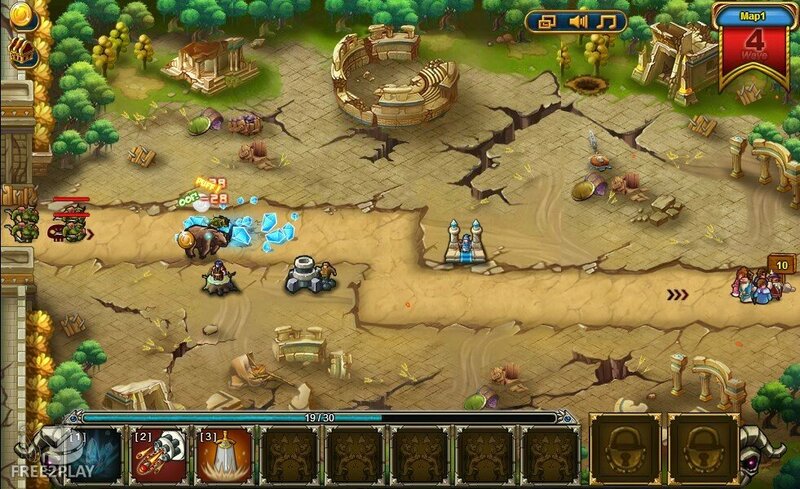 Heroes of the Banner has a classic Tower Defense gameplay, in which we will advance through several levels and maps, each of them with different enemies and roads. Players must place down towers beside these paths that will attack any passing enemy. 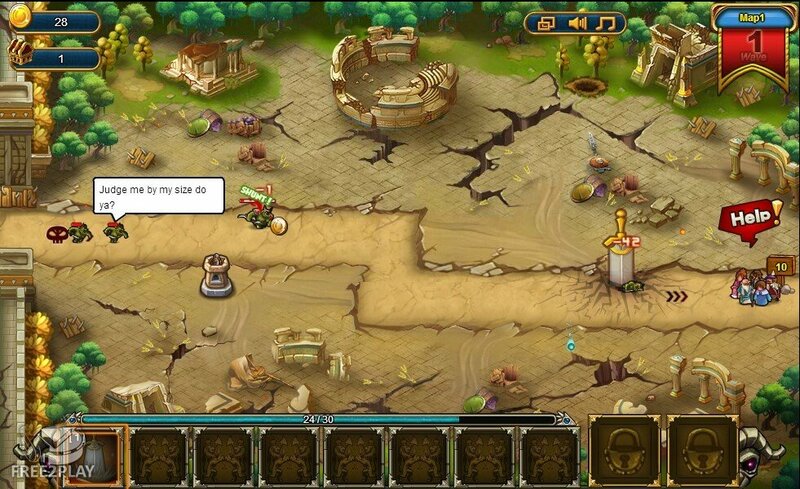 Players have to put their towers at specific locations on the map, and so players must be tactful in their choice of tower to place, directly represented by the Deity/Hero they choose to fight in the battle. In the game there are three primary classes, and each class has three incarnations that determine their type of tower and the skills provided to the player. Mage - These heroes can be Frostmages, which reduce the speed of their targets, Thundermages that deals damage in area, or Flamemages that will deal massive damage to a single target. Gunner - This hero can be a Gunner that does AOE damage and stuns enemies, an Arbalester who is capable of doing a lot of damage to a single target from far away, or a Mechmaster who deal a lot of AOE damage. Combat for the most part is completely automated, players focus on choosing where to place their towers on the main defensive points prior to a battle beginning and then when they are ready they are able to start the fight. 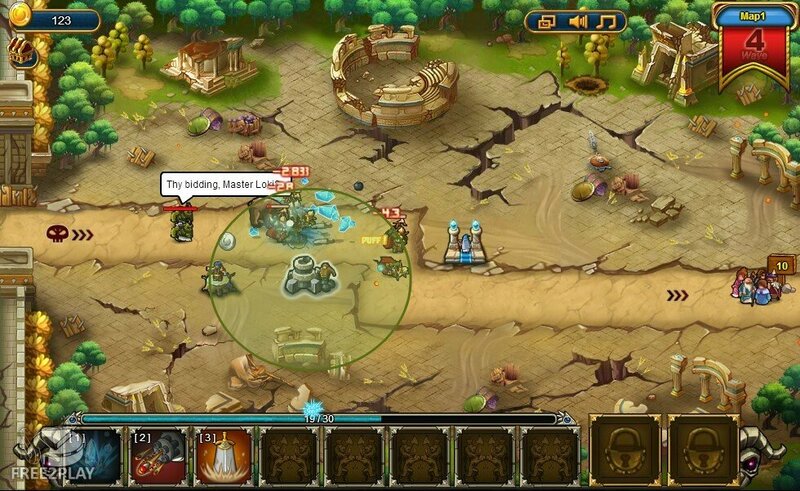 During combat players are unable to upgrade or modify their towers and so badly placed defences and poor tactical choices can mean a quick defeat for a player. Players have an element of control with the Hero spell abilities that they have access to, otherwise they are fully at the mercy of their own decisions made before the battle has even begun.